For the Northwest Energy Efficiency Council (NEEC), ECONorthwest used the REMI and IMPLAN economic models to measure the economic effects of energy conservation work done in Oregon and Washington. Impact analysis measures the effects of spending from an initial source and traces that spending as it flows through the economy. The report considered the impacts of spending on energy efficiency products and services, as well as the economic impacts supported by user savings. The report also measured long-run macroeconomic effects arising from productivity growth. 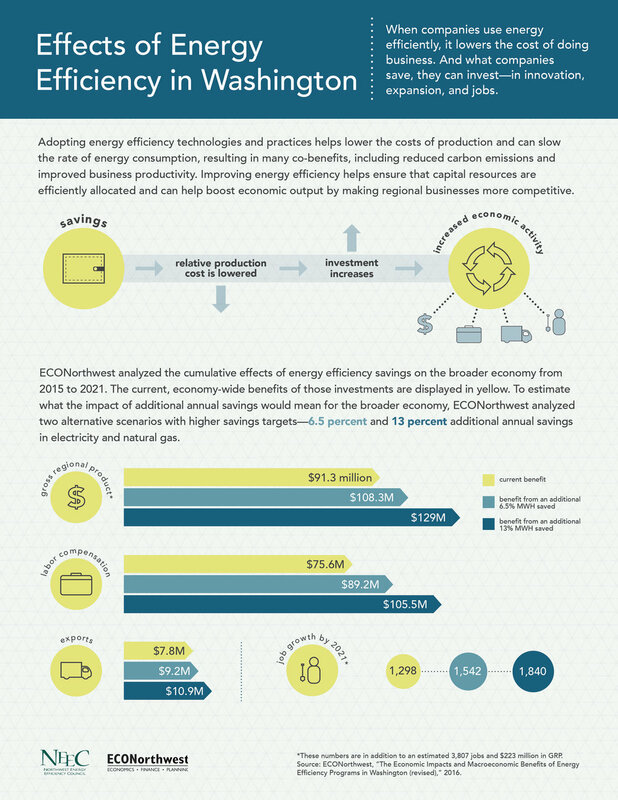 ECONorthwest produced a technical report and a set of infographics for NEEC.